Today is a free day on the Friday Face-Off meme, created by Books by Proxy, with weekly topics hosted by Lynn’s Book Blog. The idea is to put up different covers for one book, and select a favorite. 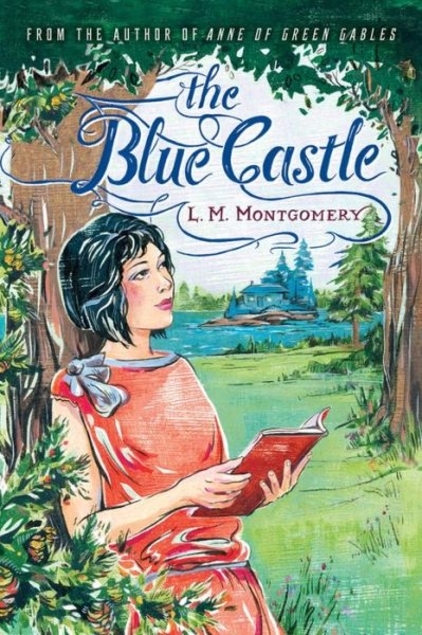 This week’s theme is “choose your own favorite” so I’ve selected one of my favorite books, my favorite L. M. Montgomery novel, The Blue Castle. 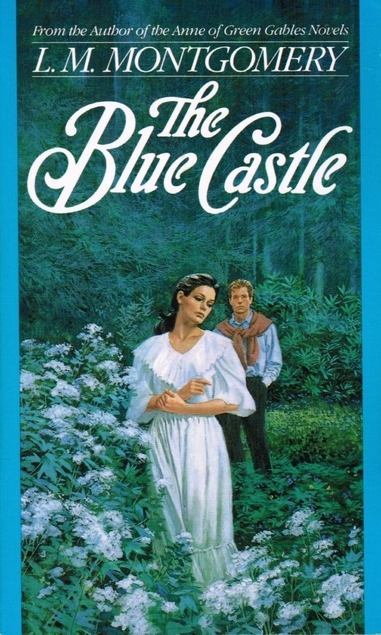 These two are much the same, both capturing the pastoral setting and suggesting the romance by putting a couple on the cover…though they don’t evoke the title at all, and there’s some questionable clothing choices going on in that right-hand cover! By contrast, this one reflects the title precisely, but has little to do with the actual content of the book! 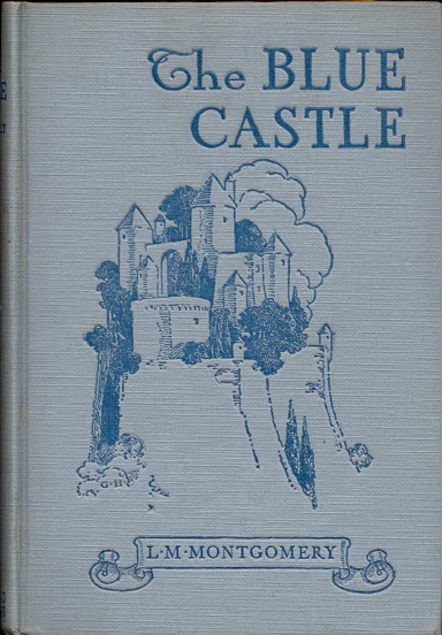 Valancy’s blue castle–at least, the one that looks like this–is strictly imaginary, while this cover suggests a medieval fantasy novel. This one swings the other direction again. I actually rather like it. This one captures the opening of the book most clearly, with the sad girl at her window who seems to be dreaming of something more. And this one is my favorite. 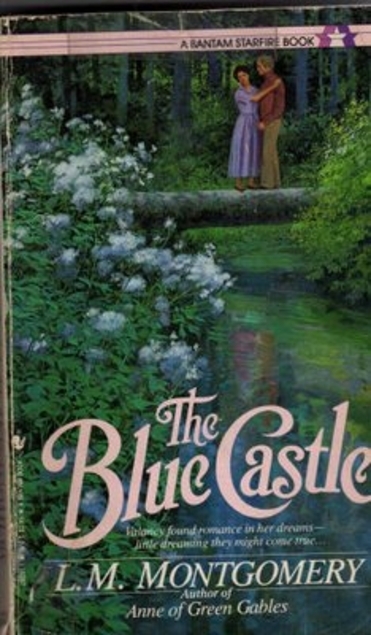 This nicely brings the real and the imagined world together, with the dreaming girl with a book and period-appropriate clothing, in a pastoral setting, with the actual cottage on a lake as well as the silhouette hinting at the imagined (or metaphorical) castle. And I’m partial to the typeface too! This is my edition, which I’ve always rather loved. I recently managed to get all the Anne books and A Tangled Web in matching editions, so I’m enjoying my matching collection. I love this cover exploration! I have the first right-hand cover. Although I love L.M. 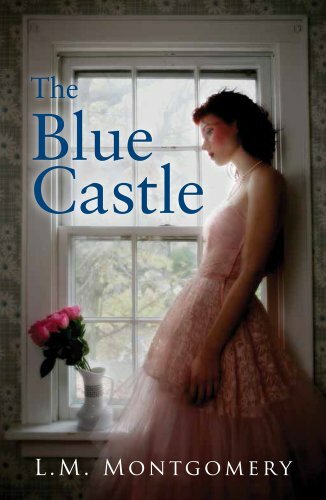 Montgomery, The Blue Castle was probably my least favorite, so I’m wondering what pulls you to it more than the others? Perhaps I should read it again.